Abiola started his apprenticeship with K10 in Business Administration in January 2017. He started with Bellway Homes and has since proved to be an asset to the team there. He came straight from college into the working world and has proven himself on a professional level despite having minimal experience previously. 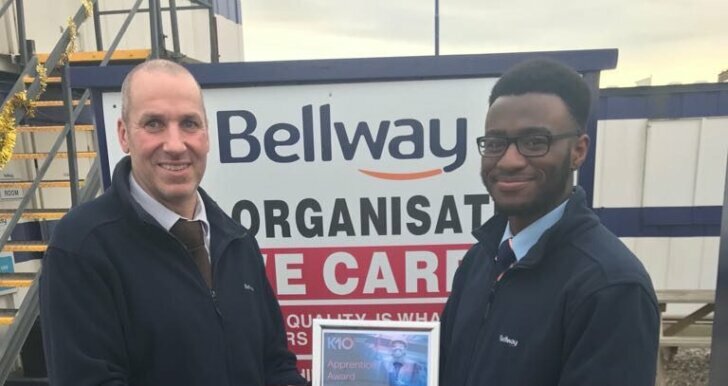 Abiola has done well and this has been recognised by the senior site team at Bellway Homes too.